The Center will close at 2pm on Monday, December 31 for New Year's Eve. The Center is closed Tuesday, December 25 for Christmas. The Center will close at 2pm on Monday, December 24, and is closed Tuesday, December 25 for Christmas. An evening of singing, stories, and reminiscences by renowned vocalist and scholar Ruth Rubin's family, friends, colleagues, and students who continue to be inspired by her work, and a celebration of YIVO’s Ruth Rubin Legacy online exhibition. A special concert featuring NEA National Heritage Fellow Michael Alpert and special guests. A pioneer of the Yiddish cultural revitalization, Michael Alpert is best known for his performances and recordings as a solo artist, with the ensembles Brave Old World and Kapelye, and celebrated collaborations with artists including Itzhak Perlman, Theodore Bikel, Daniel Kahn and Ukrainian-American singer/bandurist Julian Kytasty. Now based in Fife, Scotland, Alpert continues to perform, record and teach workshops internationally. A native Yiddish speaker, Alpert is a celebrated innovator in Yiddish song, whose original compositions have expanded the canon. Come a bit early for a reception! With Author Zohar Weiman-Kelman, Irena Klepfisz, Rabbi Sharon Kleinbaum (Congregation Beth Simchat Torah), Sarah Chinn (Hunter College, CUNY), Roni Mazal (NYU) and other special guests. Jewish women have had a fraught relationship with history, struggling for inclusion while resisting their limited role as (re)producers of the future. In Queer Expectations, Zohar Weiman-Kelman shows how Jewish women writers turned to poetry to write new histories, developing “queer expectancy” as a conceptual tool for understanding how literary texts can both invoke and resist what came before. Bringing together Jewish women’s poetry from the late nineteenth century, the interwar period, and the 1970s and 1980s, Weiman-Kelman takes readers on a boundary-crossing journey through works in English, Yiddish, and Hebrew, setting up encounters between writers of different generations, locations, and languages. Queer Expectations highlights genealogical lines of continuity drawn by authors as diverse as Emma Lazarus, Kadya Molodowsky, Leah Goldberg, Anna Margolin, Irena Klepfisz, and Adrienne Rich. These poets push back against heteronormative imperatives of biological reproduction and inheritance, opting instead for connections that twist traditional models of gender and history. Looking backward in queer ways enables new histories to emerge, intervenes in a troubled present, and gives hope for unexpected futures. Jonathan Brent, Executive Director and CEO of YIVO Institute for Jewish Research, will speak about the Edward Blank YIVO Vilna Collections Project, begun in 2015, to conserve and digitize YIVO's entire prewar library and archival collections located in NYC and Vilnius, Lithuania, reuniting them through a dedicated web portal. Prof. Anita Norich (2018-19 NEH Senior Scholar at CJH, University of Michigan) will deliver this keynote lecture as a part of the colloquium “The Gender Turn in Jewish Studies”. It concludes the work of the Scholars Working Group on Women and Gender which met for two years at the Center for Jewish History. The CJH Scholars Working Group served as a unique platform to reassess the scholarship about the expectations, possibilities, limitations, and responsibilities that Jewish women and men confronted in modern times. PLEASE NOTE: This event will take place at The New School in the auditorium at 66 West 12th Street. Phoenix Chamber Ensemble featuring countertenor Nicholas Tamanga singing songs by Purcell, Britten, Pizzetti, Caccini and more; and Piano Trios by Beethoven Op.1, No.2, and Op.1, No.3 with violinist Rebecca Fischer, cellist Raman Ramakrishnan and pianists Vassa Shevel and Inessa Zaretsky. Scholars from Israel, the U.S., and Canada will explore the history and culture of the Jews from Islamic lands, their displacement and resettlement in Israel. Topics include: Jewish communal life, rabbis and religious life, cultural institutions and the responses of international institutions. Donna Swarthout, editor of a volume of essays by authors who reclaimed German citizenship as the descendants of persecuted Jews, discusses her story with historian David Sorkin (Yale), whose research on Jewish Emancipation illuminates the meanings of citizenship in Jewish history. Who says the seventh day of Hanukkah is less exciting than the first? Not us! Bring your children, bring your grandchildren and join us for holiday family fun --- and some chocolate gelt, too! At 11 am: kids create Hanukkah gelt pouches and explore our Hey, Wow! art exhibition on a special holiday-themed gallery hunt. At noon: don’t be late for the show! Enjoy Hanukkah music from around the world with Elad Kabilio and the musicians from MusicTalks. Hear Maoz Tzur in a whole new way, along with Hanukkah songs from Israel, Yemen, Spain and Ukraine. Sing along with all the familiar favorites, too. But that’s not all! 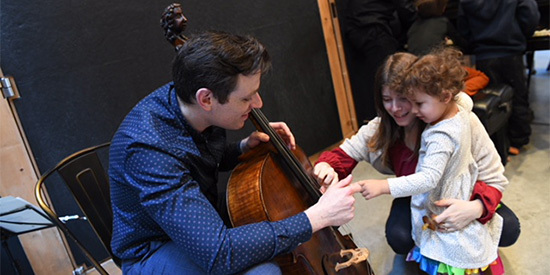 After the concert, kids meet the musicians and try out their instruments in Elad’s musical petting zoo! This multi-sensory program is suitable for children aged 4 and above, with their adult family and friends, including those who are blind or who have low vision. Ever a joyous experience, with music, song, plus a special story for the holiday, the Annual Hanukkah Concert always plays to a packed house. This year’s program features Eleanor Reissa, Frank London and theKlezmer Brass All-Stars. Come join us for a fun-filled afternoon that will thrill you with surprises and delight. Shir hashirim, “The Song of Songs,” has inspired generations of Hebrew love poems, and musical settings in many languages, from Jewish and non-Jewish perspectives. This concert features a variety of music which engages with the ancient poem including new works commissioned for the occasion. What do Albert Einstein’s photo albums, Hank Greenberg’s baseball bat, and Emma Lazarus’s handwritten poem, The New Colossus, have in common? They’re all here on West 16th Street, carefully preserved in our partners’ astonishing archival collections. Join us for an up-close look at these historical treasures and a rare behind-the-scenes tour of the Center for Jewish History. Led by Annie Polland, Executive Director of the American Jewish Historical Society, this after-hours adventure traces the route of incoming artifacts — from loading dock to quarantine room to preservation lab to permanent collections. What do archivists discover in dusty boxes? What are preservationists looking for in old photos? And what’s the story behind Albert Einstein’s teacups? All this, plus an evening-ending Chanukah treat, with culinary historian and author Jane Ziegelman, who will whip up a kosher dessert from a 1946 recipe from the archives! Purchase tickets through the NY Adventure Club using promo code CJH. “Monish,” by I.L. Peretz, is the story of an irascible Satan, his irresistible wife Lilith, and a young Jew who just wants to be left alone with his books. This hour of music, dance, and rhymes is inspired by Peretz’s classic poem. Created and performed by Big Galut(e) Jewish music ensemble, this production features an original score of klezmer music and tangos, an English text in verse, and a trio of dancers bringing the characters of this humorous and poignant tale to life. The score was created by Sanford Margolis, Professor Emeritus of Piano and former instructor of Yiddish at Oberlin College. The music is performed by Big Galut(e), winner of the Simcha Prize at the 2017 International Jewish Music Festival in Amsterdam. The ensemble, recently featured at the Glimmerglass Festival and New York Klezmer Series, has been described by critics as "soulful and unselfconsciously poignant", "jubilant", and "a real treat for open minds". Writer/narrator Sasha Margolis is violinist for Big Galut(e) and author of the novel The Tsimbalist. Choreographer Colby Thomas has performed widely throughout Europe and America in productions of Lloyd Webber, Offenbach, Bernstein, Sondheim, and Rodgers and Hammerstein. 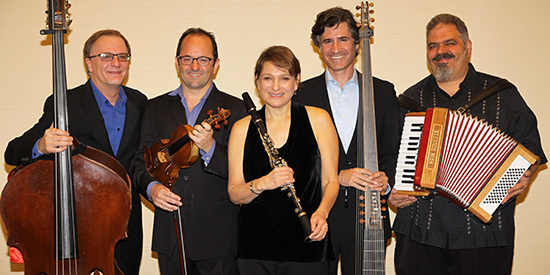 Other Big Galut(e) members include clarinetist Robin Seletsky, guitarist Michael Leopold, accordion player Mark Rubinstein, and bassist Richard Sosinsky. Dancers Carolina Villaraos, Katherine Henly, and Cole Francum are veterans of the Glimmerglass Festival. Join us on a tour of Kindertransport – Rescuing Children on the Brink of War, illuminating the organized rescue efforts that brought thousands of children from Nazi Europe to Great Britain in the late 1930s. Explore the children’s difficult and often heartbreaking journeys through personal stories, artifacts and engaging media. Raphael Gross (German Historical Museum) will discuss Otto Frank’s role in helping to establish his daughter’s diary as the “emotional anchor” of West Germany’s first empathic confrontation with what would later be known as the Holocaust. Join curator Audra Lambert on a tour of the exhibition Hey, Wow! The Art of Oded Halahmy, featuring lyrical sculptures and painted reliefs that reflect the rich, complex history of Jewish heritage in Babylonia. Celebrating the notion of homeland, Hey, Wow! explores themes originating in the eponymous popular Hebrew song originating from Iraq. Join the American Sephardi Federation for a special screening of Duki Dror’s “Shadow in Baghdad” in honor of the date chosen by the Knesset to commemorate the Middle Eastern Jewish experience, including the exodus of Iraqi Jews after denationalization in 1950. The documentary tells the story of Linda Abdul Aziz Menuhin, whose father remained in Iraq after her emigration to Israel and was later abducted by Saddam Hussein’s intelligence services into the Qasr al-Nihaya (“Palace of the End”). The film will be followed by a Q&A with Mrs. Menuhin. 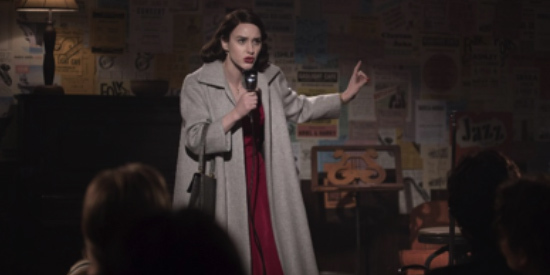 A talk with Noah Gardenswartz, writer for The Marvelous Mrs. Maisel, and Grace Overbeke, Dramaturg and Professor at Northwestern University. 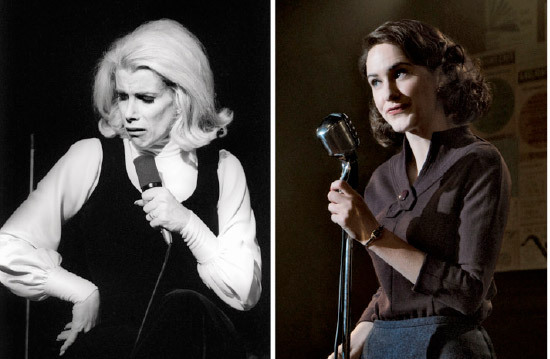 Join us for an evening of conversation, film clips, and good laughs as we discuss the life and work of comedian Jean Carroll, and how the character of “The Marvelous Mrs. Maisel” was inspired by Carroll, Joan Rivers, and other Jewish women comedians. Professor Jordan S. Penkower (Zalman Shamir Bible Department at Bar-Ilan University) will review the history of the Tablets of the Covenant and the Ten Commandments inscribed thereon, from the Bible through the Middle Ages, in both Jewish and Christian Art. Included is a study of two of Rembrandt’s paintings, in which the last five Commandments can be read clearly. Just weeks after Kristallnacht, the first group of Jewish refugee children arrived in the United Kingdom. LBI and YUM launch an exhibition exploring this remarkable effort that saved some 10,000 children, many of whom never saw their parents again. The Center is closed Friday, November 23 for Thanksgiving. The Center is closed Thursday, November 22 and Friday, November 23 for Thanksgiving. The Center will close at 2pm on Wednesday, November 21. It will remain closed Thursday, November 22 and Friday, November 23 for Thanksgiving. Harriet Jackson will discuss the relief, rescue, and resistance activities of Rabbi Zalman Schneerson and the Association des Israélites pratiquants (AIP) in Vichy France, 1940-1944. The rabbi's prior experience in clandestine activities and spiritual resistance in Soviet Russia served as a training ground, she believes, for the later resistance work he undertook in Vichy. Schneerson and his family were able to shelter, feed, and educate more than eighty children during the war, save at least fifty-three children from deportation, and help smuggle at least thirty-five children to Switzerland. Strengthened by his faith and love of the children whom he was protecting in Vichy France, the rabbi was fearless against his political enemies and remained strictly observant while protecting the lives of himself, his family, his staff and children under his care. That Schneerson and his family survived and rescued Jewish refugees in Vichy France, a regime that willingly deported nearly half of its foreign Jewish population to death camps, demonstrates that he and his wife Sara were not novices in clandestine work and operated within a larger Resistance network. Indeed, their staunch resistance to Vichy antisemitism was largely a legacy of Hasidic resistance to antisemitism under Stalinist rule. Jackson will be joined by Hadassa [nee Schneerson] Carlebach who will discuss her experiences during the war which led her to become a public speaker on the Holocaust, and Professor Mordechai Paldiel (Yeshiva University) who will offer observations about Jackson’s talk, and discuss his own experience in France during the war, his work as a writer, professor, his work at Yad Vashem, and his latest book on Jews saving Jews. This lecture by David Biale will examine the way 19th- and 20th-century authors remembered the Sabbatian movement, the great heretical explosion in the Jewish world of the 17th and 18th centuries. Learn the creative potential of augmented reality. Bring copies of personal photographs, videos, or texts, and your smartphone or tablet. Create a work using paints, pastels, or markers and learn the technology of embedding images that are visible only when focusing on an area with your smartphone or tablet. If you choose, you may also incorporate photographic images from the Museum’s newest exhibition, Lost & Found – A Family Photo Album. NO tech or art experience required! 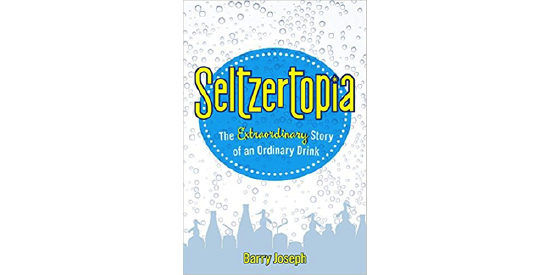 Join us for a NY premier screening of the short Egg Cream and a celebration of the publication of Seltzertopia: The Extraordinary Story of an Ordinary Drink. Featuring Peter Miller and Barry Joseph and followed by tastings of various egg creams. Presenters: Dora Piperno, Celeste Pavoncello Piperno, Rav Umberto Piperno Tasting of kosher Italian bottarga, wine and citron sweets from Calabria. 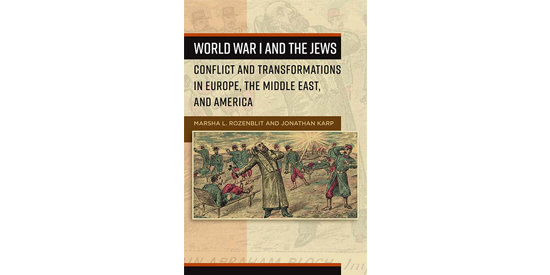 On the centennial of the armistice ending The Great War, this program explores key findings of the new book, World War I and the Jews: Conflict and Transformation in Europe, the Middle East, and America (Berghahn), the first to deal with the war's monumental impact on world Jewry. The First World War utterly transformed the lives of Jews, unleashing massive suffering in many locales but also affording Jews a unique opportunity to display their patriotism and military prowess. Most profoundly, the war destroyed much of the political framework in which the majority of world Jewry had long existed, replacing it with a new order of nation-states that made their lives more uncertain and precarious. This program features discussion between scholars of the war – the editors Marsha L. Rozenblit (University of Maryland) and Jonathan Karp (Binghamton University, SUNY) alongside contributors and historians Allan Arkush (Binghamton University, SUNY), Rebecca Kobrin (Columbia University), Michal Ben-Yaakov (Efrata School of Education, Jerusalem), Gennady Estraikh (NYU), Rebekah Klein-Pejšová (Purdue University); and Volker Berghahn (Columbia University) – about the conflict’s impact on Jewish communities in Europe, the Middle East and North America. A reception sponsored by Berghahn Books will follow, including sales of the new paperback edition. Featuring remarks by historian Marion Kaplan (NYU), the premiere of a short documentary featuring individuals sharing their memories of 1938, reflections by radio personality and author Martin Goldsmith, and a musical performance by the Phoenix Chamber Ensemble. Additional funding by the Blavatnik Family Foundation. What's New in Jewish Genetics? 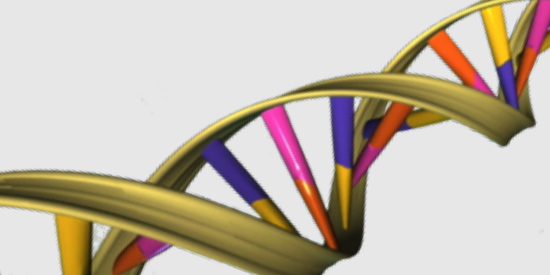 Reading DNA continues to sharpen our view of Jewish history, health, and identity. Join computational geneticist Itsik Pe’er (Columbia University) and moderator Nathan Pearson (rootdeep.com) to explore what our genomes say today...and may reveal in the future. 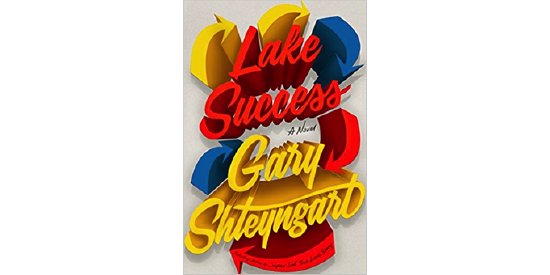 A book talk celebrating the publication of Gary Shteyngart’s new novel. Lake Success is a poignant tale of familial longing and an unsentimental ode to what really makes America great. Gary Shteyngart will be in conversation with Suketu Mehta. When Franklin Delano Roosevelt was elected president, his popularity with American Jews inspired this Yiddish quip from a Jewish Republican judge: The Jews now had three velten (worlds), he said. Di velt (this world), yene velt (the world to come), and Roosevelt. Historically, the majority of American Jews have continued to align themselves with the Democratic party. But like all voters, the critical issues that motivate Jewish voters reflect both a range of priorities and the current political terrain. Today, as the country grows increasingly polarized, are Jewish voters becoming more starkly divided as well? Are ideological schisms, generational divisions, and a shifting political landscape shaking up the “Jewish vote?” How do historical voting trends help us understand where we are today? As we approach the much anticipated 2018 midterm elections, veteran journalist Clyde Haberman sits down with an all-star panel for a candid conversation and more than one opinion. Rabbi Jill Jacobs, columnist Jeff Jacoby, political historian Julian Zelizer, and Democratic strategist Halie Soifer join Mr. Haberman for a spirited discussion about Jewish political involvement past and present, and how this year’s vote could shape the future. Join us for a panel discussion with author Vanda Kreftt , David Kehr (curator, MoMA) and Frederick Wasser (Brooklyn College, CUNY) to celebrate the publication of The Man who Made the Movies: The Meteoric Rise and Tragic Fall of William Fox. A riveting story of ambition, greed, and genius unfolding at the dawn of modern America, this landmark biography brings into focus a fascinating brilliant entrepreneur—like Steve Jobs or Walt Disney, a true American visionary—who risked everything to realize his bold dream of a Hollywood empire. In March 1968, in reaction to a student rebellion, the communist government of Poland launched a noisy propaganda campaign against the alleged Zionists, who were accused of a conspiracy to undermine socialist Poland. The campaign of slander, harassment, and persecution forced half of Poland’s Jews into exile and deeply affected the life of those who remained. For the fiftieth anniversary of the events this year, POLIN Museum of the History of Polish Jews in Warsaw prepared an exhibition and a rich program of educational and cultural events. This coincided with a stormy debate on the recent “Holocaust defamation law,” bringing mass attention to the program and opening a controversy on the nature of and responsibility for the campaign of 1968. Despite heavy criticism from the media of the right, the museum’s relevant temporary exhibition, lectures, debates and cultural events have already attracted an audience of 100,000 people. Dariusz Stola, the director of POLIN, will discuss how this history is presented in their current temporary exhibition and the controversies surrounding it. 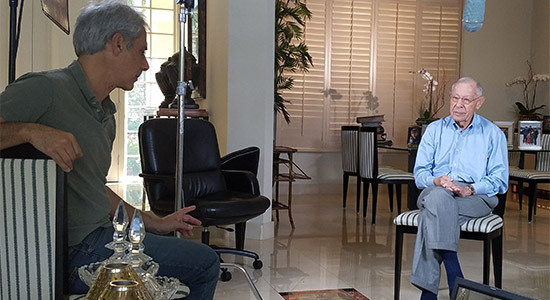 While filming a documentary in Israel, Bill Moyers was struck by the words attributed to the Baal Shem Tov and inscribed at the entrance to the Yad Vashem Holocaust Museum—“Remembrance is the secret to redemption.” As democratic institutions around the world reel from the eroding forces of inequality and intolerance, prize-winning journalist Moyers will reflect on the role of history and memory in preserving democracy and democratic institutions. The lecture will be the first of a series of distinguished speakers reflecting on history and the public good initiated and sponsored by Dr. Barbaralee Diamonstein-Spielvogel and Ambassador Carl Spielvogel. Professor Mohammad Gharipour will discuss his research and recently published book, Synagogues of the Islamic World: Architecture, Design, and Identity (Edinburgh University Press, 2017), which explores how the architecture of synagogues in Central Asia, the Middle East, North Africa, and Spain responded to contextual issues and traditions, as well as how these contexts influenced the design and evolution of synagogues. 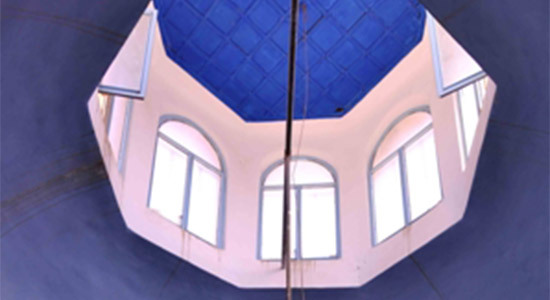 The book considers patterns of the development of synagogues in urban contexts in connection with urban elements and monuments, while revealing how synagogues reflect the culture of the Jewish minority at macro and micro scales. This presentation is being made possible by the generous support of The Cahnman Foundation. Rob Snyder, author of the book Crossing Broadway: Washington Heights and the Promise of New York City, leads a walking tour and panel discussion in the northern Manhattan neighborhood once known as “Frankfurt on the Hudson” for its large population of German-Jewish refugees. Eight decades later, the neighborhood is still a vibrant home for new immigrant communities. Tickets to the walking tour include admission to a panel discussion at Hebrew Tabernacle Congregation at 3:30 pm. Visit lbi.org/in-the-heights for meeting location. Sarina Roffé, professional genealogist and founder of the Sephardic Heritage Project and author of Branching Out from Sepharad, outlines the history and expulsion of Jews in Spain, their history in Syria and immigration to the Americas. 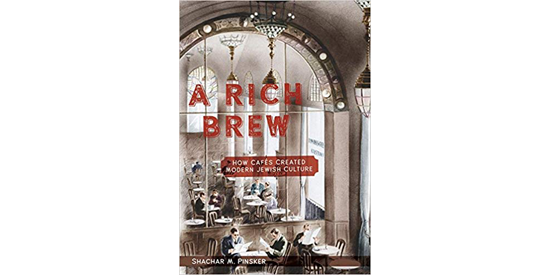 She discusses the Kassin rabbinic dynasty from the 12th century to the 50-year leadership of Rabbi Jacob S. Kassin in Brooklyn and solves a Converso mystery. What happens when WWII separates a young, idealistic American Jewish couple? Find out when actors Alysia Reiner (Orange is the New Black) and David Basche (The Exes) read the couple’s letters from the new book We Are Going to Be Lucky. From the late 1890s, a vibrant Yiddish music hall developed in the East End of London. Immigrant writers wrote heartfelt and humorous songs about their experiences. This talk analyzes songs uncovering previously untold histories. One of the critical steps in genealogical research might not seem so obvious – to capture known relatives’ memories before they are forgotten or gone. Filmmaker Walter Schlomann shares his expertise recording family video biographies, and the rewards of documenting one’s family history. Learn tips and insights on how to research and record your own video histories, and how these stories impact the interviewee, the families, and future generations. This presentation includes excerpts of evocative biographical videos produced by Walter, which run the gamut of life’s circumstances and emotions and collectively reflect the Jewish-American experience of the last 100 years. The Wilshire Boulevard Temple, an LA treasure built by the original Hollywood moguls, faces demise. But a community determines to achieve the impossible. This is a story that deserves its own film, and fortunately Aaron Wolf, the grandson of Rabbi Alfred Wolf, is a filmmaker. "Why isn't the Oscar Slater case better known? It's about racism, antisemitism, xenophobia. Not relevant to today? Think again." Margalit Fox wrote more than 1,400 obituaries during her career at The New York Times, gaining a legion of fans with her exquisite prose and eye for quirky details. Now she brings her superb storytelling to a long-forgotten 20th-century murder case—and to Oscar Slater, the Jewish immigrant who was framed for the crime. 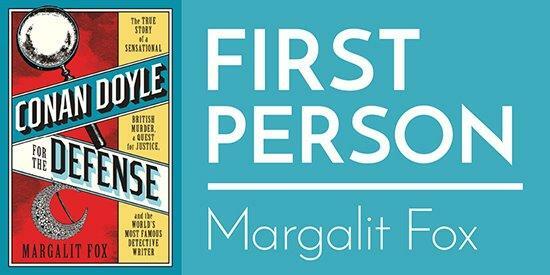 Margalit joins author Ruth Franklin for a wide ranging First Person conversation about her fascinating career, her favorite obits, and her new book, Conan Doyle for the Defense: The True Story of a Sensational British Murder, a Quest for Justice, and the World’s Most Famous Detective Writer. The second edition of “Nosotros,” an exhibition composed of pieces by Latino artists celebrating the shared history and culture of Jewish and Latino communities, and expressing hope for a more positive future. Latin American artistry is rich with Sephardi and Crypto-Jewish allusions and symbols. Historical Atlas of Hasidism is the first cartographic reference book on one of the modern era's most vibrant and important mystical movements. The event features a presentation by Marcin Wodzi&nacute;ski, who will then be joined by David Biale for a conversation. Union Square comprised the intersection of two major roads, and where Jewish and American history intertwined. Come hear about the buildings—Macy’s, Tammany Hall, Planned Parenthood townhouse, about Emma Goldman and Emma Lazarus, and get a behind-the-scenes look at Lazarus’ handwritten poems. Ticket includes admission to Celebrating 20 Years of the Straus Historical Society at 15 W. 16th Street at 1:30 pm. The German-Jewish family that built Macy’s into an iconic retailer also left an indelible legacy in American politics and society. After an optional morning walking tour of Union Square and a pop-up exhibition of artifacts from Macy’s, the Titanic, and more, a panel including Hasia Diner (NYU) and Rabbi Joanna Samuels (Educational Alliance) discusses the Straus family’s journey from peddlers to public servants and philanthropists. Joan Rivers’ pioneering work as a female comedian left an indelible impression on America’s collective memory. Come watch highlights of her work, and hear from Rivers’ niece, Caroline Waxler, and comedian Judy Gold, on how her work continues to inspire today. Join us for the release of In the Land of Happy Tears: Yiddish Tales for Modern Times, a new collection of Yiddish tales edited by David Stromberg. Hosted by Debra Caplan, the event features readings from the tales and a discussion of the collection's genesis and translation process. The Center is closed Tuesday, October 2 for Simchat Torah. The Center is closed Monday, October 1 for Shemini Atzeret. The Center will close at 2pm on Sunday, September 30 for Erev Shemini Atzeret. Phoenix Chamber Ensemble performs Barber's "Souvenirs" Ballet Suite, op.28 (with video installation by Joseph Safranovich); Schnittke’s "Gogol Suite"; Shostakovich's Concertino for Two pianos, op.94; and Shostakovich’s Cello Sonata, op.4. Made possible by the generous support of the Blavatnik Family Foundation. Emma Lazarus’s sonnet, “The New Colossus,” is perhaps this country’s most famous poem, and recent immigration policies and controversies have thrust both statue and poem into the headlines, from Stephen Miller’s press conference to recent Independence Day protests. Esther Schor, Princeton Professor of English and author of Emma Lazarus, analyzes the recent wave of media attention. To what extent is the Statue of Liberty under fire, and to what extent is she inspiring poetry and actions that uphold her ideals? A panel of respondents include: Steven Choi, executive director of the New York Immigration Coalition, Christina Greer, political scientist, commentator and author of Black Ethnics: Race, Immigration and the Pursuit of the American Dream, Amy King, poet and co-curator of the Guardian’s “Huddled Masses…” feature. 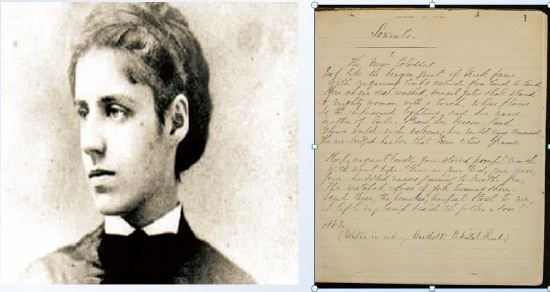 AJHS is home to the Emma Lazarus Papers, famously including a handwritten version of Lazarus’ "The New Colossus." The Center is closed Tuesday, September 25 for Sukkot. The Center is closed Monday, September 24 for Sukkot. The Center will close at 2pm on Sunday, September 23 for Erev Sukkot. Love Gilda: the Eternal Spirit of Gilda Radner (2018, 90 minutes) lets us reconnect with the beloved comedian. The film beautifully weaves together recently discovered audiotapes of Radner, interviews with her friends, rare home movies and diaries read by comedians. The Center is closed Wednesday, September 19 for Yom Kippur. The Center will close at 2:00pm on Tuesday, September 18 for Erev Yom Kippur. Professor Elizabeth Macaulay-Lewis will present new research on the remarkable courtyard houses of the Farhi and other important Sephardic families in late 18th/early-19th-century Damascus. Her analysis of architecture and décor offers a lens into the Damascene Jewish community and its interaction with Ottoman culture. Join us in commemorating the Jewish community of Vilna. The program includes poetry, music, and a short film and discussion with David Fishman on the Paper Brigade, a group of Jewish intellectuals who risked their lives to save books and documents from destruction during the Holocaust. While socially prominent architects designed New York’s most iconic Art Deco skyscrapers, a generation of Jewish architects - new to the profession and often new to the country - helped spread the Art Deco style from the Garment District to the Grand Concourse. Between them, Israel Crausman, Louis Allen Abramson, and Marvin Fine designed the first Deco apartment house in the Bronx, notable Horn & Hardart Automats, as well as restaurants in the Longchamps chain. Architectural historian Anthony W. Robins shares rare recorded interviews with these three visionaries and explores how they helped to transform the face of New York City in the 1920s and 30s. Join us for an illustrated overview of the major primary sources for Jewish genealogical research held by Yeshiva University Library's Special Collections. These include a range of archival collections and manuscripts from Germany, Hungary, and the United States, primarily dating from the mid-18th through early 20th centuries. About the Speaker: Shulamith (Shuli) Z. Berger is the Curator of Special Collections at Yeshiva University's Mendel Gottesman Library. She is co-curator of the Library’s online exhibits: "Einstein and Yeshiva University" and "Echoes of Auras: Memorbuch of a Jewish Community" (library.yu.edu/digital), and writes for the Library’s blog at blogs.yu.edu/library. The Center is closed Tuesday, September 11 for Rosh Hashana. The Center is closed Monday, September 10 for Rosh Hashana. The Center will close at 2:00pm on Sunday, September 9 for Erev Rosh Hashana. Adam Michnik discusses the history of Anti-Semitism – and efforts to resist it – in 20th-century Poland based on his book Against Anti-Semitism: An Anthology of Twentieth-Century Polish Writings. The series, Short Talks on Big Subjects features writers from the Oxford University Press Very Short Introductions books. The Center is closed Monday, September 3 in honor of Labor Day. The Center is closed Sunday, September 2 and Monday, September 3 in honor of Labor Day. Are you interested in learning more about the day-to-day lives of your ancestors? Find out how you can investigate the history and culture of the Jewish community in your ancestral town(s) at the Center for Jewish History and beyond. Presented by Moriah Amit, the Center’s Senior Genealogy Reference Librarian. An ASL interpreter may be made available if requested in advance. Book of J (Jewlia Eisenberg and Jeremiah Lockwood) are artists-in-residence at YIVO in July working with Celia Dropkin’s archive, setting to music material they uncover at YIVO. Join us for a work-in-progress concert presentation of the music created during their residency. Join us for a filmed interview with writer and painter Yonia Fain conducted by Sheva Zucker, entirely in Yiddish with accurate and complete English subtitles, enhanced by photos and music. “The Essence” is a theatrical introduction to Yiddish language and Yiddish theater. The show features anecdotal and historical material in English, along with music and scenes from the best of Yiddish theater (with supertitle translation). Curious about family history outside of the Pale of Settlement? The Center for Jewish History welcomes you to a lecture on genealogy tools for those interested in researching Jewish community records and Jewish life in the Sephardi or Mizrahi Diaspora. Open to all. No previous experience or preparation is necessary. Presented by J.D. Arden, Genealogy and Reference Librarian at the Center for Jewish History and adjunct faculty at the LIU-Palmer School of Library & Information Science. An ASL interpreter may be made available if requested in advance. Please join us for a special evening as we honor Chava Lapin and celebrate the 50th Anniversary of YIVO’s Uriel Weinreich Summer Program! This program includes performances by Shane Baker, Eléonore Biezunski, Daniel Kahn, Zalmen Mlotek, Miryem-Khaye Seigel, and Yelena Shmulenson. Join us for a discussion of the exciting new book The Jewish Political Tradition: Volume III: Community, co-authored by Michael Walzer, Menachem Lorberbaum, Noam Zohar, and Madeline Kochen. Two of the authors, Michael Walzer, Institute for Advanced Study, Princeton, and Menachem Lorberbaum of Tel Aviv University and the Shalom Hartman Institute, Jerusalem, will discuss the evolution of this monumental project, with its distinctive mix of political and legal theory as it relates to issues of daily life and communal survival. Suzanne Last Stone of Cardozo Law School will offer a response, and will then moderate a general Q and A. When Ilan Ramon boarded the Space Shuttle Columbia, he made history as the first Israeli astronaut and a member of the most diverse crew in shuttle history. The son of a Holocaust survivor, Ramon also carried a piece of history with him – a tiny Torah scroll with an extraordinary story. Far above the earth, Ramon took on a mission within the mission: to tell that story to the world. 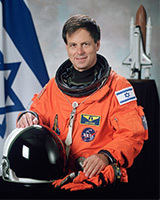 Ilan Ramon, was Israel’s first astronaut and a payload specialist on the Space Shuttle Columbia. A fighter pilot in the Israeli Air Force, he was selected for the U.S. astronaut program in 1998. On February 1, 2003, the Columbia exploded as it was returning to Earth after 16 days in orbit. All seven members of the crew were killed. Ramon was posthumously awarded the Congressional Space Medal of Honor, the only non-U.S. citizen recipient ever to receive that honor. The East Village Lost Synagogues Walking Tour offers an in-depth look at old shuls and Jewish sites in "Alphabet City." These buildings are less well-known than those in the heart of the Lower East Side, but they are fascinating for their relation to genealogy, architecture, interfaith relations and much more. We will stop by at least one shul that was endangered, but is once again functioning as such. Others have become churches, private homes and a community center. About the Tour Guide: Ellen Levitt is the "Lost Synagogues Lady," an author and photographer who documents the fates of former synagogues and other Jewish sites throughout New York City, New Jersey and elsewhere in the United States. Her trilogy on The Lost Synagogues of NYC was published by Avotaynu. She has also written about a variety of other topics and works as a teacher and tour guide. She is a lifelong Brooklynite. Location and Other Details: This tour will begin at First Park, on the corner of 1st Avenue and East 1st Street (just 1 avenue east of the 2nd Avenue F/M subway station). Please plan to arrive at First Park at 12:45 PM to check in. We will not wait more than a few minutes for late arrivals. This tour will take place rain or shine. Please dress modestly and make sure you bring plenty of water, hat/sunglasses, and sunscreen. Note: Most tour stops are not wheelchair accessible. Set in Seville, Spain, Mozart’s opera, Don Giovanni, shows the unsatisfying ends that await a sordid life of scheming and serial seduction. Starring baritone David Serero in the title role, along with a large cast, the libretto was written by the Italian Sephardi Lorenzo Da Ponte. 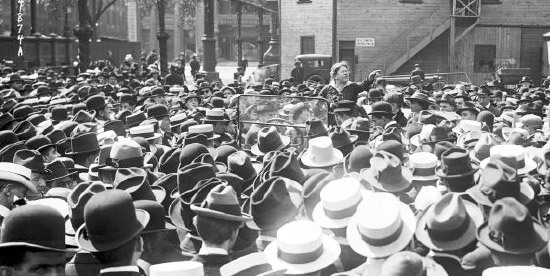 The namesake of a leading New York City and now national organization was a leading female philanthropic and business leader of the early 20th Century, Rebecca “Vera” Scwheitzer, whose story has been overlooked until now. Learn about this one-time president of a major international corporation, founder of a hospital in Tiberias, and recipient of the French Légion d'Honneur, and learn how her name came to adorn the leading criminal justice research and reform organization in the nation and what that means today. Speakers include Joel Levy, former President and CEO of the Center for Jewish History; Herb Sturz, founder of the Vera Institute of Justice; and Kevin Keenan, Executive Vice President and Special Counsel of the Vera Institute of Justice. A day-long conference that will features academics, artists, writers, and diplomats in discussion about Israeli society and politics as well as relations between Israel, America, and the Jewish diaspora. Featured conference participants will include: former Ambassador and Israel Institute President Itamar Rabinovich, Brookings Institution Senior Fellow Tamara Cofman Wittes, Council on Foreign Relations Senior Fellow Elliott Abrams, author Nicole Krauss, President of the Center for Jewish History David Myers, and former Dean of Faculty of Humanities and Professor Emerita at Tel Aviv University Anita Shapira. Join us for YIVO's annual Kronhill lecture given by Paul Berman, YIVO’s 2018 Jacob Kronhill Visiting Scholar in East European Jewish History. A three-day academic and cultural conference exploring the unique character of Yemeni Jewish heritage and the shared history and cultural commonalities of Yemeni Jews and Muslims. The conference will feature a keynote address by the great grandson of Imam Yahyeh, scholars from France, Egypt, Israel, Yemen, and other countries, and performances by Tsion Golan, Avihu Medina, as well as dance troupes and choirs from Israel. Featuring Ari Goldman (Professor of Journalism, Columbia University), Laurel Leff (author, Buried by The Times) and Ira Stoll (columnist, The Algemeiner). Mark Halpern, a member of the Board of Jewish Records Indexing - Poland, will present an in-depth examination of Galician vital records along with a strategy to help researchers in acquiring them. Regulations that governed Jewish record-keeping and the regulations on civil marriages that impacted the legitimacy and surnames of children will be covered. Examination of sample records will reveal the contents and identify those having the most genealogical value. A book launch and panel discussion featuring author Joyce Antler, Judith Rosenbaum (Executive Director of the Jewish Women's Archive), Nona Willis Aronowitz (Splinter), and Dahlia Lithwick (Newsweek, Slate). Jewish women were undeniably instrumental in shaping the women’s liberation movement of the 1960s, 70s, and 80s. Yet historians and participants themselves have overlooked their contributions as Jews. This has left many vital questions unasked and unanswered—until now. Delving into archival sources and conducting extensive interviews with these fierce pioneers, Joyce Antler’s Jewish Radical Feminism has at last shattered the silence at the crossroads of being Jewish and feminist. Join Irene Shaland, an internationally-published art and travel writer, educator, and lecturer for a report on her travels through Jewish history in Burma, India, China, Cuba, and Cambodia. Together with her husband-photographer Alex, Irene has visited over 60 countries. The Center is closed Monday, May 28 in honor of Memorial Day. The Center is closed Sunday, May 27 and Monday, May 28 in honor of Memorial Day. Join us for the launch of Hasidism: A New History, the first comprehensive history of the pietistic movement that shaped modern Judaism. The event includes a presentation from authors David Biale and Samuel Heilman. A concert featuring a variety of chamber music by Stutschewsky and composers of his coterie both in Russia and in Israel, as well as the premiere of a new composition by Ofer Ben-Amots, commissioned by YIVO for this occasion. Neil W. Levin, will deliver the pre-concert lecture on Joachim Stutschewsky’s life and work. The Center is closed Monday, May 21 for Shavuot. The Center is closed Sunday, May 20 for Shavuot. When Joseph Berger was growing up in the Bronx, his mother described Otwock, her hometown in Poland, as an "enchanted spot graced by tall pine trees, lush lilac bushes and bracing air." After she died, Joe and his sister went back to Poland and visited their parents’ childhood homes for the first time. What they discovered on their “roots journey” was both emotional and surprising. Join Mr. Berger, a former New York Times reporter, and the author of the acclaimed memoir, Displaced Persons: Growing up American after the Holocaust, as he shares stories and photos from his fascinating journey and offers tips for successful family searches abroad. Reflecting on the current political climate in Poland and how it might impact a similar journey today, Joe will be joined by Jonathan Ornstein the Executive Director of the JCC in Krakow and Helise Lieberman, Director of the Taube Center for the Renewal of Jewish Life in Poland. An evening with Professor Jonathan Sarna in conversation with Forward Editor Jane Eisner about past and present examples of renewal and vibrancy in American Jewish life. Professor Sarna will speak about his life and how it led him to study history, central themes in his prolific scholarship on the American Jewish past, and what studying American Jewish history can reveal about major issues confronting American Jews today. The History Matters series is generously sponsored by Dina and Jonathan Leader. Join curator Audra Lambert on a tour of Hey, Wow! The Art of Oded Halahmy, featuring lyrical sculptures and painted reliefs that reflect the rich, complex history of Jewish heritage in Babylonia. Celebrating the notion of homeland, Hey, Wow! explores themes originating in the eponymous popular Hebrew song originating from Iraq. Join us for "One of Those," a play by Paula Prilutski from the heyday of Yiddish theater in a newly-commissioned English translation. Allen Lewis Rickman will translate and direct a fully professional troupe of actors in this semi-staged presentation. Marking Yom Yerushalayim / Jerusalem Day, Yeshiva University Museum presents a concert of music inspired by the City of Gold. Join cellist Elad Kabilio and an ensemble of musicians from MusicTalks for a selection of music ranging from Ladino and Klezmer to Opera and Israeli song. Featuring materials from the AJHS collections, The Eddie Cantor Story chronicles one of the most important entertainers of the 20th century. Red Hot Mama reveals how Sophie Tucker became one of the most powerful women in show business. Speakers include authors Lauren Rebecca Sklaroff and David Weinstein; moderated by Hasia Diner (NYU). In Uprooted, Lyn Julius, a British journalist (Guardian, Standpoint) and daughter of Iraqi-Jewish refugees, explores the mass exodus of Middle Eastern Jewish minority communities, the clamour for recognition, redress, and memorialization, and how their cause can further peace and reconciliation between Israel and the Muslim world. Join leading intellectuals and culture mavens John Podhoretz and Rabbi Meir Soloveichik in conversation as they show winning film clips, compare their favorite biblical movie lines, and explore the depiction and characterization of Moses on film in this pre-Shavuot. What's it like to spin a dreidel in zero gravity? Read the Torah in orbit? Celebrate Shabbat when the sun rises and sets nearly every hour? Join Jeffrey Hoffman, NASA’s first Jewish male astronaut and veteran of five space shuttle missions, as he shares out-of-this-world stories from his fascinating Jewish journey. Designed for space enthusiasts of all ages, the program includes a talk about the history and achievements of Jewish astronauts with Valerie Neal, Curator and Chair of the Space History Department at the Smithsonian Institution. After the program, explore the exhibition, Jews in Space: Members of the Tribe in Orbit, and see the dreidel, Torah pointer, and other Judaica that Dr. Hoffman carried on his missions. Come before the crowds. CJH will open one hour early for families to come and view this stellar exhibition! There will be arts and crafts for children, curator tours for adults, and space themed fun for all. People of all ages and ability levels welcome! Speaker Logan Kleinwaks is the creator of Genealogyindexer.org, a free website for searching historical European directories (business, address, telephone), yizkor books, Galician secondary school reports, military documents and more. Containing millions of personal names - often with towns, patronymics, occupations and other identifying information – most of the 2000+ sources are not searchable elsewhere. He will review recently added sources and new search functionality. The historical connections between Babylon and Jerusalem, beginning with the Talmuds through to Israel- Diaspora relations today and into the future. Phoenix Chamber Ensemble and Tesla String Quartet performing Mozart's Piano Concertos Nos. 20 and 21 (arr. I. Lachner for piano, string quartet and double bass); Hugo Wolf’s "Italian Serenade"; and Inessa Zaretsky's "Image of Sound" for string quartet and video (Sally Boon Matthews, video artist). In the American postwar period, Jewish leaders from across the ideological spectrum built of summer camps, in hopes of transforming a generation of American Jewish youth raised in affluence and comfort into their visions of "authentic" Jews. Zionist, Yiddishist, and denominational leaders and educators constructed the lived experience at their summer camps so that each and every hour of the day served their missions, simulating the perceived lifestyles of Jews from other times and places. While adults imagined, schematized, and implemented these totalizing Jewish summers, campers' reactions, desires, and behaviors shaped the camp experience as it attempted to shape them. Sandra will present her findings on the construction of authentic Jewishness in postwar Jewish summer camps with a focus on tensions between youth and adults at camp. Sandra Fox is a PhD candidate in History and Hebrew Judaic Studies at New York University. Her research interests include American Jewish history, the history of youth and children, and Yiddish language and culture. Sandra serves on the editorial board of In geveb: A Journal of Yiddish Studies, and is the founder and producer of Vaybertaytsh: A Feminist Podcast, in Yiddish. Delve into the exciting world of Yiddish theater at the launch of Oh Mama, I’m in Love! The Story of the Yiddish Stage, the third course in YIVO’s Shine Online Educational Series, presented by Edward Blank and Family. This interdisciplinary conference will explore the important relationship between music and humor in Jewish contexts. The keynote lecture, “Scoring Jewish Comedy: The (Very) Early Years,” will be given by Dr. Daniel Goldmark (Case Western Reserve University). Free kosher lunch provided. In this book, Elliot Wolfson intervenes in debates about the notorious philosopher as a scholar of Jewish mysticism who has been profoundly influenced by Heidegger’s work. In spite of Heidegger’s explicit anti-Semitic statements, Wolfson reveals some crucial aspects of his thinking that betray an affinity with dimensions of Jewish thought. Ultimately, as Wolfson argues, the greatness and relevance of Heidegger’s work is that he presents us with the opportunity to think the unthinkable as part of our communal destiny as historical beings in confronting the horrors of the Holocaust. At the Center for Jewish History on April 29th, Elliot Wolfson will offer a brief lecture about his book. Shaul Magid, the Jay and Jeanie Schottenstein Chair in Jewish Studies at Indiana University and NEH Senior Scholar at the Center for Jewish History, will introduce and moderate the forum. Richard Wolin, Distinguished Professor of History and Comparative Literature and the CUNY Graduate Center, will offer a response. There will be a reception following the talk. Ruth Wisse (Harvard University) will be speaking with David N. Myers (President and CEO, CJH) about how her scholarship on the complex relationship between Jews and power in history informs contemporary debates. After a conversation, there will be an audience Q and A. New to genealogy? Eager to fill in the branches of your family tree? Join us for a unique after-hours opportunity to learn from our expert genealogy librarians. We’ll show you how to find out where your grandparents and great-grandparents lived, what kind of work they did, when they arrived in the U.S., and more. Then, you’ll dig into our treasure trove of online genealogy records. What will you discover about your ancestors? Instagram and let us know -- #cjhfamilyfinds. Wine and light refreshments will be served. Join us for a book talk to celebrate Broadway: A History of New York City in Thirteen Miles and hear from author Fran Leadon about the extraordinary ways in which American Jews contributed to making Broadway an iconic street. ASF and the Alliance Israélite Universelle-KIAH invite you to celebrate the launch of an incredible database featuring the lives and writings of over 500 Sephardi sages, who exemplify the classic moral, ethical, inclusive, and tolerant traditional Judaism of Greater Sephardi communities. The cultures and histories of Bukharian, Georgian, and Kavkazi (Mountain) Jews lie at the fascinating intersection of RSJ and Sephardic-Mizrahi life, but are often overlooked within both spheres. Join ASF Broome & Allen Fellow and COJECO Blueprint Fellow Ruben Shimonov’s multimedia learning series exploring the multilayered and rich stories of these communities. Co-sponsored by COJECO, Genesis Philanthropy Group, ASF Young Leaders. Jeffrey Shandler, Rutgers University Professor of Jewish Studies, will examine the USC Shoah Foundation Visual History Archive as a major project of public memory situated in a series of contexts: Jewish ethnographies, public memory projects at the turn of the millennium, and the different media used to document the Holocaust. Cyrano, a French army cadet, is a brash, strong-willed man, remarkable duelist, gifted, joyful poet, and musician, who suffers psychologically because of a physical imperfection. This French classic will be performed in English, featuring Sephardi and jazz standards in a world premiere adaptation by David Serero. Ina Lancman, daughter of Naftali Herts Kon, well-known Yiddish poet and writer, will give a presentation together with Polish attorney Tomasz T. Koncewicz. Lancman will focus on Naftali Herts Kon’s literary career and the stirring story of his persecution and the confiscations of his papers under the Soviet and communist Poland regimes. Koncewicz will present the legal side of the successful court battles he lead on behalf of Ina and her sister Vita Serf to reclaim their father's remaining confiscated papers from the post-communist Polish government. The presentation will be illustrated with manuscript samples and photographs. Ina Lancman and Vita Serf have donated the reclaimed papers to the YIVO Archives. Inaugurated in 2008 thanks to a major gift from the family of Ruth Gay, the Ruth Gay Seminar in Jewish Studies was established in honor of Ruth Gay (1922-2006), the noted American Jewish historian and writer. This series is given by scholars who use the YIVO Archives and wish to share their research with the public. Join us as Martin Goodman, Professor of Jewish Studies at Oxford and President of the Oxford Centre for Jewish and Hebrew Studies, speaks about his highly anticipated new book, A History of Judaism! In this magisterial book, Martin Goodman takes readers from Judaism’s origins in the polytheistic world through to the many varieties of Judaism today. This book masterfully weaves together the different threads of doctrinal and philosophical debate that run throughout Judaism’s history. Annette Yoshiko Reed, Associate Professor in the Skirball Department of Hebrew and Judaic Studies at New York University, and Shaul Magid, The Jay and Jeanie Schottenstein Chair in Jewish Studies at Indiana University and NEH Senior Scholar at the Center for Jewish History, will then offer responses. Rudolf Klein, professor of modern architectural history at Szent István University, Budapest, will give a talk on his new book, Synagogues in Hungary, 1867–1918 (Central European University Press, 2017). This is the first comprehensive study that systematically covers all synagogues in Hungary from the Edict of Tolerance by Joseph II to the end of World War I. Unlike prior attempts, dealing with post-World-War-II Hungary only, the geographical range of this study includes historic Hungary, today Austro-Hungarian successor states, within the mentioned chronological timespan. The study presents the architecture of Hungarian synagogues in a chronological order; the author gives special attention to the boom of synagogue architecture and art from 1867 to 1918, a time also called the modern Jewish Renaissance . However, the greatest contribution of this book is the innovative matrix method, which the author applies to determine the basic types of synagogues by using eight basic criteria. The book also deals with the problem of urban context, the position of the synagogue in the city and its immediate environment. There are two detailed case studies how communities built their synagogues and how these were received by the general public. A theoretical summary tries to determine the role of post-emancipation period synagogues in general architectural history. 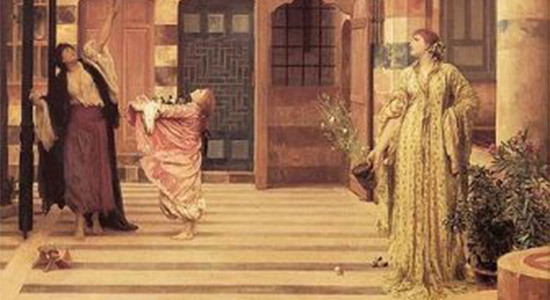 Join us for a dynamic discussion led by Edna Nahshon (Jewish Theological Seminary) about her recent book, Wrestling with Shylock: Jewish Responses to the Merchant of Venice, co-edited with Michael Shapiro (University of Illinois), which examines the ever-expanding body of Jewish responses to Shakespeare's most Jewishly relevant play. Bring your children, bring your grandchildren and join us for an extraterrestrial adventure! Explore our stellar exhibition on a fun-filled, family scavenger hunt. Design a rocket ship that really takes off! Discover the mystifying, mesmerizing music of the theremin, an instrument you play but never touch. Then try it yourself and listen to that sci-fi sound. All this, plus what do astronauts eat for dinner? We'll skype with a NASA food scientist and see what's on the menu. Historian Michael Brenner (American/University of Munich) will discuss contemporary Jewish life in Germany on the occasion of the publication of A History of Jews in Germany since 1945 (Indiana University Press, 2017). CXX Proof, the Bernice Diener Ensemble-in-Residence at Stern College for Women, Yeshiva University, perform the work of Jewish composers and featuring the world premiere of Proof Positive for violin, clarinet and piano by YU faculty composer David Glaser. Musicians: Christopher Grymes, clarinet; Xiao-dong Wang, violin; Xak Bjerken, piano. Join French literary scholar Nina B. Lichtenstein as she “illuminates the shrouded histories and complicated… identities” of a multiply marginalized minority: Magrebi (Moroccan, Algerian, Tunisian) Sephardic women writers. Featuring Mohammed Al Samawi in conversation with interviewer (TBA) and the first-ever reunion of the team that orchestrated his evacuation. Followed by a reception of Yemeni cuisine and book signing. 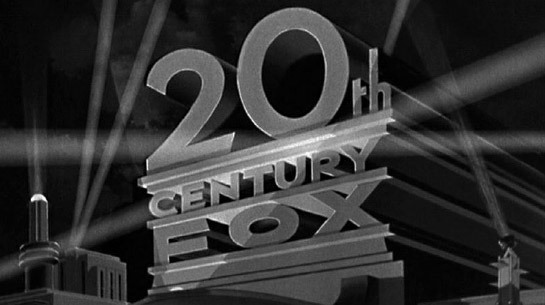 All guests will receive a complimentary copy of The Fox Hunt. Jewlia Eisenberg and David Shneer produce a 1930s anti-fascist cabaret from Amsterdam. Psoy Korolenko and Anna Shternshis perform satirical Yiddish anti-fascist songs from the lost Archive of the Bureau for Jewish Culture at the Ukrainian Academy of Science, written during World War II in the Soviet Union. Lecturer, writer, artist, and cartoonist Eli Valley will speak about his work, followed by a conversation with NYU Professor of History and Italian Studies Ruth Ben-Ghiat. Coinciding with Diaspora Boy, his critically acclaimed compendium of comics, Valley will present a searing slide show on the urgency of our political moment and the meaning of Jewish pride. Interweaving personal history, American culture and contemporary Jewish life, he will narrate a journey that includes a childhood marching in rallies, an adolescence ricocheting between religiosity and secularism, and an adulthood revisiting the roots of contemporary Jewish self-perception. In the process, he will explore a century of popular art, from the tumultuous mayhem of MAD comics to the lacerating imagery of early Zionism, examining the ways pictures have created and perpetuated notions of Jewish authenticity. An urgent call to moral responsibility in the Trump era, Valley’s presentation envisions a return to the social-justice roots of the American Jewish experience. The Center is closed Friday, April 06 for Passover. The Center will close at 2pm Thursday, April 05 for Erev Passover. This symposium honors the 70th anniversary of the UN Genocide Convention. Discussions will address the contentious history of the adoption of the Genocide Convention by the U.S and the present failure to intervene in and prevent acts of genocide. The Center is closed Sunday, April 01 for Passover. The Center will close at 2:00pm on Friday, March 30 for Erev Passover. Two Pianos, Eight Hands: Phoenix Chamber Ensemble and friends celebrate Oxana Yablonskaya! Phoenix Chamber Ensemble, featuring Ellen Braslavsky, Inessa Zaretsky, Vassa Shevel and Oxana Yablonsksaya, performing Scarlatti’s Three Sonatas (C Major, D minor, A minor); Chopin’s Waltz in E flat Major, Op.18, Waltz in A flat Major, Op. 42, Waltz in A flat Major, Op.64, No.3, Three Mazurkas, Op.50; Mozart’s Sonata in D Major, K.448 for Two pianos, Four hands; Zaretsky’s 5 Postcards; Franck’s Prelude, fugue et variation in B Minor, Op.18; Rachmaninoff’s Suite No.2 (for two pianos) and Suite No.1 (for two pianos); and Smetana’s Rondo in C Major for Two pianos, Eight hands. Please Note: This program was rescheduled from March 21. Like the swashbuckling hero in Raiders of the Lost Ark, George Washington University Professor Eric H. Cline has a taste for adventure. On campus, he’s a sought-after professor of classics and anthropology. But off campus, he travels the world unearthing clues to ancient times. An acclaimed archaeologist, Dr. Cline has led excavations across the Middle East for more than thirty years. He’s dug up daggers and bowls, discovered fragments of frescoes, and searched for evidence of biblical heroes and events. Was Abraham a real person? Did the Exodus actually happen? Dr. Cline, author of Biblical Archaeology: A Very Short Introduction, will explore these mysteries and more with National Geographic Magazine’s archaeology editor, Kristin Romey, at the Center for Jewish History, March 21st at 6:30 pm. From 19th-century theologians who first headed to the Holy Land "with a bible in one hand and a trowel in another,” to the secrets 21st-century technology reveals, they’ll dig into this fascinating field and investigate the biblical mysteries archaeologists can – and can’t – solve. A copy of Biblical Archaeology: A Very Short Introduction is included with admission. Mysteries of the Bible: Biblical Archaeology is part of Very Short Introductions: Short Talks on Big Subjects, a series produced in partnership with Oxford University Press and featuring authors of Oxford’s Very Short Introduction books. Dr. Eric H. Cline is Professor of Classics and Anthropology, former Chair of the Department of Classical and Near Eastern Languages and Civilizations, and current Director of the Capitol Archaeological Institute at The George Washington University in Washington, DC. He has degrees in Classical Archaeology, Near Eastern Archaeology, and Ancient History from Dartmouth (B.A., 1982), Yale (M.A., 1984), the University of Pennsylvania (Ph.D., 1991), and an honorary doctoral degree from Muhlenberg College in 2015. A Fulbright Scholar, National Geographic Explorer, and NEH Public Scholar, Dr. Cline is an active field archaeologist. He has more than 30 seasons of excavation and survey experience in Israel, Egypt, Jordan, Cyprus, Greece, Crete, and the United States. He is a former co-director at Megiddo (biblical Armageddon), where he dug from 1994 through 2014, and has co-directed the excavations of a 4,000-year-old Canaanite palace at Tel Kabri in Israel since 2005. Author of numerous books on archaeology, his international best-seller, 1177 BC: The Year Civilization Collapsed, was considered for a 2015 Pulitzer Prize. Kristin Romey is the archaeology editor and writer for National Geographic. Her work has focused extensively on the archaeology of the Near East, most recently with Geographic's December 2018 cover article on the archaeology of Jewish Galilee and Jesus of Nazareth. The former executive editor of Archaeology Magazine and a fellow of the Explorers Club, Romey holds an A.B. in ancient Greek from Vassar College and an M.A. in nautical archaeology from Texas A&M University. Presentation and discussion with author/artist Ruth Sergel and Cornell Professor Nick Salvatore. In its day, the worst industrial disaster in New York history spurred labor organizers and others to enact progressive legislation. A hundred years later, the Triangle fire tragedy is inspiring a new generation of activists to organize against global sweatshops. Learn about how Lower East Side Jewish and Italian immigrants lived and worked together in 1911. Hear about the annual commemoration that honors the loss and empowers the living through the memorial act of sidewalk “CHALK.” Reception to follow. Explore the delightful variations of pomegranates and palm trees in the new exhibition Hey, Wow! The Art of Oded Halahmy and use the same imagery to decorate a matzah cover or afikomen bag for Passover 2018. Work with felt appliqués, fabric markers, and embroidery thread to create unique, usable art. This multi-sensory activity is also suitable for individuals who are blind or who have low vision. Programming for the blind and low vision community is made possible by a grant from The Shlomo and Cindy Silvian Foundation, Inc.
Sephardic music from the 16th to the 20th centuries, by Alonso Mudarra, Wolf Simoni, Alberto Hemsi, Roberto Pla, Zhul Levy, and Paul Ben-Haim, performed by Heather Buck, soprano; Janice Meyerson, mezzo soprano; Valeriya Sholokhova, cello; Lorne Richstone, piano; with commentary by Dr. Raymond Scheindlin. Join us in celebration of the 49th anniversary of the Freedom Seder and Arthur Waskow’s Haggadah. In 1969, on the anniversary of the assassination of Martin Luther King, nearly 800 people gathered in the basement of a black church in Washington, D.C. These Jews, blacks, rabbis, and ministers participated in what became known as the “Freedom Seder,” and used Arthur Waskow’s controversial Haggadah as their liturgical guide. The Center for Jewish History and the Goldstein-Goren Center for the Study of American Jewish History will convene a symposium to explore the historical context and the impact of this event. The evening will begin with Arthur Waskow, co-founder of ALEPHAlliance for Jewish Renewal, who will offer his reflections on that first Freedom Seder, on his Haggadah, and on how it shaped American Jewish life. There will be a reception following the talk. Alessandra Stanley, journalist, and former New York Times bureau chief in Rome and Moscow, Mario Calvo-Platero, writer and columnist for La Stampa, in conversation with the author, Alain Elkann and Giorgio Barba Navaretti on history, memory, and family. Italian novelist, essayist, and journalist Alain Elkann follows the flight from fascist Italy of an upper class Jewish family from Turin, the fictional Ottolenghis, who arrive in New York in 1939 and settle on the Upper West Side of Manhattan. The plot, loosely inspired by the author's maternal family, the Ovazzas, unfolds around the matriarch's will, conceived to keep the family together. The gravitational center of the story is New York: the place of safety, new beginnings, mixing, and eventual return. Here, those who left behind everything re-invent themselves and at the same time reinforce their century-old attachment to their Jewish-Piedmontese origins. As counterpoint to the novel, Giorgio Barba Navaretti will present a selection of home movies shot by Vittorio Ovazza between 1930 and 1936, and will discuss the history the Ovazza family, the flourshing of a Jewish elite in post-unification Italy, the radical embracing of fascism by some of its members, and the relation of minority to ruling powers. Reception to follow. Although they were usually everyday items in their time, family heirlooms offer us precious, tangible windows into the lives of our ancestors. Bonni-Dara Michaels, Yeshiva University Museum’s Collections Curator, will share the intriguing stories behind a selection of family heirlooms from the Museum’s collection, including a Shabbat candlestick made in the Cyprus Detention camp and a coat worn by a child fleeing Nazi Germany for the United States. Then, Jennifer Sainato, the Center for Jewish History’s Preservation Services Manager, will offer practical advice on how to properly care for your own family heirlooms, so that they may remain a vital part of your family’s legacy for generations to come. The mother-daughter team behind The German-Jewish Cookbook (Brandeis University Press, 2017), Gabrielle Rossmer Gropman and Sonya Gropman, discuss their historical and gastronomic exploration of German-Jewish cuisine with the Gefilteria’s Jeffrey Yoskowitz and historian Atina Grossmann (Cooper Union). An evening of music inspired by Rachel Bluwstein and Leah Goldberg, two of Israel’s greatest 20th-century poets, through a live performance by Elad Kabilio and an ensemble of musicians from MusicTalks. Interspersed with stories and historical background, the program is part of Yeshiva University Museum’s series musically celebrating Israel @ 70. In collaboration with History Unfolded: US Newspapers and the Holocaust, a program of the United States Holocaust Memorial Museum (USHMM), CJH is hosting a “History Sprint”. Citizen historians are invited to conduct research in newspaper collections and investigate US press coverage for specific Holocaust events in 1938. Participation in the project helps the Holocaust Memorial Museum to discover what Americans knew and how they responded to news of Nazi persecution. Users can submit their findings to the USHMM’s online database which will be available to anyone, anywhere—from historians to curators to students. This program will take place in the Lillian Goldman Reading Room. Please note: This event ends at 2pm. Fred Voss, genealogist and volunteer tour guide at Ellis Island, will explore the personal, sometimes heartbreaking, stories of those millions of immigrants who came through Ellis Island, particularly those whose visit to the US ended there, and those whose stay on the island was unexpectedly lengthy, and what the records show of their experience. Queen Esther's Dilemma, a musical by Samuel J. Bernstein, is inspired by the Biblical Book of Esther. This original musical play blends humor with anguish, tragedy with triumph, while exploring Jewish identity in all its complexities. In Queen Esther's Dilemma, inspired by the Biblical Book of Esther, a contemporary Purim Party is interwoven with the principal features of the traditional Purim story. The party includes Purim games; dancing; singing; and, of course, the drinking of many cups of wine. The Biblical narrative recounts the efforts of Haman, an evil Persian, to annihilate the Jews, and the actions of Queen Esther; Mordechai, her cousin; and King Ahasuerus, the King of Persia, to counteract the machinations of Haman. In this theatrical rendering, Esther faces various difficult ethical problems as she strives to be a woman loyal to the interests of the Jews, as interpreted by Mordechai, and yet a person with strong pacifistic inclinations. Lights, Camera, Action! The NYSJFF showcases contemporary voices steeped in the history, traditions, and rich mosaic culture of Greater Sephardic communities. The ten-day Festival features premiere film screenings, intriguing stories, evocative documentaries, Q&As with filmmakers, as well as special honorees and guests. The Pomegranate Awards Ceremony on Opening Night celebrates Sephardi excellence in the arts. Past recipients include Senior Counselor to the King of Morocco André Azoulay, French-Algerian recording legend Enrico Macias, Kuwaiti star and human rights activist Ema Shah, and Morocco-Israeli poet Erez Bitton. Join Jacob Wisse, director of YUM, on a tour through the Museum’s exhibition The Arch of Titus – from Jerusalem to Rome, and Back, exploring the image and legacy of the Arch of Titus from Imperial Rome to modern-day Israel. Anti-Semitism in France: Why do they hate us? So many Jewish traditions under one roof! Join us as we team up with YIVO and our partner organizations for a Purim themed March Mash-Up of family fun. Laugh along with a puppet show, enjoy storytelling from many lands, make colorful craft projects, sing-along to classic Jewish songs, and experience the delightful diversity of Jewish culture from countries around the world – right here on West 16th Street. Plus family friendly gallery tours of our new exhibitions Jews in Space: Members of the Tribe in Orbit and Hey, Wow! The Art of Oded Halahmy and delicious holiday treats too! A surefire way to discover more than you ever imagined about your family! Learn the best ways to trace your roots with some of the world's most experienced family history researchers and genealogists from the Ackman & Ziff Family Genealogical Institute's research library. Join us for a special after-hours event. Honoring the memory of the musical visionary Hadassah Markson (z"l) with the music of her father, Abraham W. Binder, and celebrating Leonard Bernstein’s 100th Birthday and Samuel Adler’s 90th birthday, the concert will also feature new voices in contemporary Jewish music – Stanislav Fridman, Dina Pruzhansky and Samuel Dylan Rosner. A new website and exhibition explore the dramatic events of 1938 from the perspectives of ordinary people. This event focuses on the annexation of Austria (March 12), when 190,000 Jews were suddenly subject to restrictions that had developed over 5 years in Nazi Germany. The countdown begins! Join YIVO and CJH on February 26th for the launch of our new exhibition, Jews in Space: Members of the Tribe in Orbit. Explore the Jewish quest to understand the heavens from 18th century rabbinical texts, to the origins of popular science fiction, to Jewish astronauts celebrating Shabbat in orbit. Reserve your spot today for an opening night of curator tours, space themed fun, and a first look at this stellar exhibition. Celebrate the music and life of Arik Einstein, “the voice of Israel” and a pioneer of Israeli rock music, through a live performance by Elad Kabilio and an ensemble of musicians from MusicTalks. Interspersed with stories and historical background, the program is part of Yeshiva University Museum’s series musically celebrating Israel @ 70. J.D. Arden, Genealogy and Reference Librarian at the Center for Jewish History, will present research tools and approaches to finding data on, as well as imagining an informed historical context of, your ancestors’ immigration experiences. This lecture is designed for beginner and advanced genealogy researchers. No previous experience or preparation is necessary. The Center is closed Monday, February 19th for President's Day. Cuba’s Forgotten Jewels cinematically weaves the tale of Marion Kreith who, evading Nazi capture, escaped Europe to Havana as a young girl with her family. Marion’s story mingles with the personal accounts of other refugees placed in an unfamiliar land. Experience the music of Naomi Shemer, the “First Lady” of Israeli song and poetry, through a live performance by Elad Kabilio and an ensemble of musicians from MusicTalks. Interspersed with stories and historical background, the program is part of Yeshiva University Museum’s series musically celebrating Israel @ 70. What does Jewish art look, sound or feel like today? How compatible are contemporary art and Jewish art? Why does the stigma of Jewish visual culture persist? Join art historian Peter R. Kalb (Brandeis University) and artist Ben Schachter (Saint Vincent College) for a wide-ranging and timely conversation around Schachter’s new book, Image, Action, and Idea in Contemporary Jewish Art (Penn State University Press, 2017). Featuring Dr. Michael Beckerman (NYU) and Dr. Simona Frankel (HUC-JIR), this program will study the introduction of art music into European synagogues, and explore mystical atonement rituals of Jews during the Baroque era. The audience will be treated to performances of Jewish Baroque music and learn about its context. In this course, we will examine a number of leading radical Jewish thinkers in the post-war period, focusing on: Arthur Waskow, Meir Kahane, Yoel teitelbaum, and Zvi Yehuda Kook. Different as they may seem on major social and political questions, these four were united in proposing radical Jewish visions of a post-liberal society. Continues February 13, 21, 27. Join us for the launch of a new book of Isaac Babel translations with readings by translator Val Vinokur and discussion with Isaac Babel expert, YIVO’s Executive Director Jonathan Brent. The American Sephardi Federation invites you to join Muslim and Jewish masters of Shashmaqam from Uzbekistan and the USA for performances of classical Central Asian music as it was experienced in the royal courts of the Emirs of the Bukharan Empire more than 100 years ago. The IV International Shashmaqam Forever, a two-day Festival in Queens and Manhattan, will bring together Muslims and Jews to celebrate the legacy of the Peoples Artist of Uzbekistan, Yunus Rajabi. The Memorial Concert will feature virtuosi vocalists and instrumentalists performing Shashmaqam, one of the world's most sophisticated and refined classical musical systems developed through centuries of cultural collaboration. Shashmaqam was recognized by UNESCO as a masterpiece of humanity's intangible cultural heritage. Literally meaning six maqam ("maqam" is roughly equivalent to the concept of mode or scale in Western music), Shashmaqam is a canon of instrumental melodies and poetic texts set to music. Previously presented at Carnegie Hall, Shashmaqam Forever has been described as a unique cultural event link[ing] the Bukharian Jewish community, Uzbek-Americans, and their historic homeland. Founded by Bukharian Times Editor-in-Chief and composer Rafael Nektalov and philanthropist David Mavashev, who directs the Izkhak Mavashev Foundation - Institute of Bukharian Jewish Heritage in Diaspora, Shashmaqam Forever is an event like none other, a bridge between communities and a celebration of culture, said Nektalov, Everyone is encouraged to attend. Festival presenters include The Bukharaian Jewish Congress of the USA and Canada, American Sephardi Federation, Bukharian Jewish Community Center, Turkistan-American Association, Uzbek-American Art Foundation, and MiRaf Entertainment with the support of the Republic of Uzbekistan’s Cultural Ministry, Embassy to the United States, Consulate General at New York, and Permanent Mission to the United Nations. The IV International Shashmaqam Forever Concert is dedicated to Yunus Rajabi (1897-1976), a composer, musician, and scholar who collected, systematized, and transcribed more than a thousand songs and pieces from the Shashmaqam repertoire. His life's work ensured that Shashmaqam survived Soviet suppression. The day before the Concert, on Sunday, February 4, a scholarly symposium on Central Asian Classical Music: Yunus Rajabi and his Jewish musical environment, will be held at the Bukharian Jewish Community Center (106-16 70th Avenue, Forest Hills, New York). Researchers participating include: Prof. Walter Zev Feldman (New York University in Abu Dhabi), Prof. Steven Blum (CUNY Graduate Center), Rafael Nektalov (President of the Shashmaqam Forever Festival), Prof. Evan Rapport (Eugene Lang College at the New School), and Zoya Tajikova. We are grateful for the support and assistance of the following individuals and organizations: Nastel Technologies, Inc., CASC (Central Asia Seed Company), Aziz Mamev, Ben Kurbanov, Michael Yusupov, Versailles Palace, and Star Entertainment. Join us for History Matters, a new lecture series, at the Center for Jewish History, where the past comes alive! History Matters will bring prominent historians to the Center for Jewish History to reflect on the importance of the study of the past for understanding the present. Each evening of the series will offer rich conversation between a leading historian and a moderator about how that historian’s research illuminates timely issues. In putting historical scholarship into dialogue with present-day concerns, this series will highlight the importance of history — and especially Jewish history — in public discourse. Generously sponsored by Dina and Jonathan Leader. Emma Lazarus, the 19th-century Sephardic American poet and translator, expressed an identity particularly engaged with the Jewish legacy of medieval Spain. This ASF Young Sephardi Scholars Series Lecture by 2018 Broome & Allen Fellow Dr. Leonard Stein will explore Lazarus’s proto-Zionism, sexuality, and advocacy for a compassionate American society, positions informed by her readings of al-Andalus and the Spanish Inquisition as interpellated by contemporary German Jewish scholars. 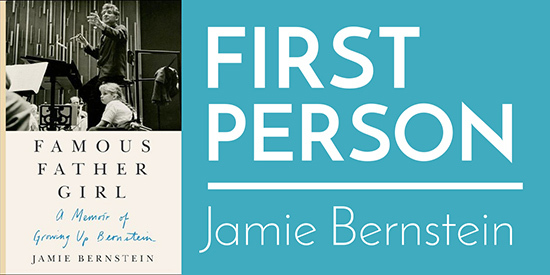 Comparing her poetry with these historical sources reveals how her famous work against anti-Semitism and nationalist chauvinism stem from a commitment to her ancestral past. Leonard Stein is a Connaught International Doctoral Scholar for the Centre for Comparative Literature in a collaborative program with the Anne Tanenbaum Centre for Jewish Studies at the University of Toronto. His research compares medieval Jewish-Iberian identity with modern literature from the Sephardic diaspora. He currently serves as the President pro tem and program chair for the Society for Crypto Judaic Studies and editor for the University of Toronto Journal of Jewish Thought. His newest publications include “Jubanidad and the Literary Transmission of Cuban Crypto-Judaism” for the forthcoming edited volume, Caribbean-Jewish Crossings: Atlantic Literature and Theory (University of Virginia Press), and “The New Literature of Hip Hop Music” for the forthcoming Oxford Handbook of Hip Hop Music Studies. Family History Today: From Family History to Present Family – Finding Living Relatives You Have Never Met! Are you interested in reconnecting with your long-lost cousins? Moriah Amit, the Center for Jewish History’s Senior Genealogy Reference Librarian, will cover major resources and strategies for locating the living descendants of deceased individuals on your family tree. Join us to celebrate Ladino, the remarkable language also known as Judeo-Spanish. Jane Mushabac (CUNY) performs excerpts from her 2016 Ladino-rich novel, His Hundred Years, A Tale. Also hear singer/accordionist Jane Carver; Sephardic thought leaders Rabbi Marc Angel and Rabbi Nissim Elnecavé; and a musical finale by Trio Sefardi with Howard Bass, Tina Chancey, and Susan Gaeta, who has toured with the legendary Flory Jagoda. When she broke away from Orthodox Judaism, Tova Mirvis left her marriage and the way of life she’d always known. The bestselling novelist of The Ladies Auxiliary, The Outside World, and Visible City, Mirvis speaks with columnist Marjorie Ingall (Tablet Magazine) about her moving new memoir, The Book of Separation, and her new life in the secular world. Love history but short on time? Join CJH President and distinguished Jewish History Professor David N. Myers for a fast and fascinating discussion. Author of Jewish History: A Very Short Introduction, Myers covers 5778 years in a very short program. Sound impossible? Set the clock. And see how much you’ll learn. Meet our new CJH President! Book signing and reception to follow. Warsaw is the capital of Poland and at the onset of World War II had the largest population of Jews in all of Europe. Hadassah Lipsius will present a lecture about genealogy research in Warsaw and specifically research of your Warsaw family. Sources will include vital record research, newspaper announcements, business directories, homeowner lists, cemetery records, notarial records, business records and more. She will review the sources, show examples and provide aids and tips in how to perform your search. In order to assist researchers who will attend the 38th IAJGS International Conference on Jewish Genealogy to be held in Warsaw from August 5 to August 10, 2018, Hadassah Lipsius will also present an introductory talk, prepared by the organization committee. Hadassah Lipsius is long-time board member of JRI-Poland, as well as Archive Coordinator for the Warsaw and Tomaszow Mazowiecki Archives. She is the database manager for JewishGen's Warsaw Research Group, and has helped index Warszawa newspaper life cycle announcements. She serves on the executive council of the Jewish Genealogical Society. Hadassah has traveled many times to Poland to pursue her family reserach. The AMIA Bombing and the Murder of Alberto Nisman: Is Justice in Sight? On the eve of the anniversary of Argentinian Prosecutor Alberto Nisman's tragic murder, The Algemeiner Editor’s Club and the American Sephardi Federation invite you to a discussion addressing the dramatic and unexpected latest developments in the struggle for justice on behalf of the victims of the AMIA Jewish Center Bombing and Nisman's posthumous vindication. The panel will feature The Algemeiner's own Ben Cohen, Toby Dershowitz of the Foundation for Defense of Democracies, Matthew Taylor, creator of the documentary film Los Abandonados, and will be moderated by Brazilian journalist and TV host Miriam Spritzer. The discussion will be followed by a Q & A session. The Center is closed Monday, January 15th for Martin Luther King, Jr. Day. Featuring remarkable materials housed at AJHS, Philippe Sands will explore how personal lives and history are interwoven in his book East West Street. A conversation with Douglas Irvin-Erikson, author of Raphäel Lemkin and the Concept of Genocide will follow. Join us for a lecture on Jewish food by best-selling author Michael Wex. Wex will discuss his book Rhapsody in Schmaltz and reflect on why the serious study of Jewish food has been a blind spot in the study of Eastern European Jewry. He will then be joined by Liz Alpern and Jeffrey Yoskowitz of The Gefilteria, who will discuss their work in contemporary Jewish cuisine and lead a live cooking demonstration rendering schmaltz and gribenes, and then making chopped liver. A light reception featuring Jewish food favorites will follow the event. In 1943, Bulgaria complied with German demands and deported nearly 11,400 Jews from occupied territories in northern Greece and Yugoslavia (Macedonia). At the same time, Bulgaria successfully resisted repeated German pressures to deport the 50,000 Jews living in Bulgaria. Dr. Benatov will offer an overview of the facts surrounding these historical events and will focus on the conflicting opinions about the role played by King Boris III, church officials, and politicians in the rescue of Bulgaria’s Jewish population. Dr. Benatov will also discuss the international debate over the way in which this historical moment should be interpreted, remembered, and commemorated. Dr. Joseph Benatov teaches at the University of Pennsylvania and is the recipient of the 2017 Fred and Ellen Lewis / JDC Archives Fellowship. His research in the JDC Archives is on JDC activities in Bulgaria in the postwar period, 1945-1949, and its support of the Jewish community and involvement in the mass immigration of the Bulgarian Jewish community to Israel. The New York City premiere of this documentary film brings us to the filmmaker’s discovery of her grandparents’ confiscated pre-World War II estate and her own German Jewish heritage, and records the work of a Cornell University architecture team to design creative new uses for the site. With filmmakers Ann Michel and Phil Wilde, and Cornell Architecture Professor Aleksandr Mergold. Reception to follow. Visitors who are blind or have low vision are invited to a special tour of YUM’s exhibition The Arch of Titus – from Jerusalem to Rome, and Back. The tour will feature handling objects, including a quarter-scale replica of the Spoils of Jerusalem panel from the Arch of Titus. This program is funded by a grant from The Slomo and Cindy Silvian Foundation, Inc.